612km or 9 hours is the amount of travel and time it takes boundary umpire Chris Roberts to commute every week to ensure he is fulfilling his role. This weekend after 122,400 km of total travel, Chris, or (Robbo), or (nicknames we can’t disclose here), will umpire in his 200th AFL match on Saturday afternoon at the MCG. An amazing achievement and dedication to elite boundary umpiring. 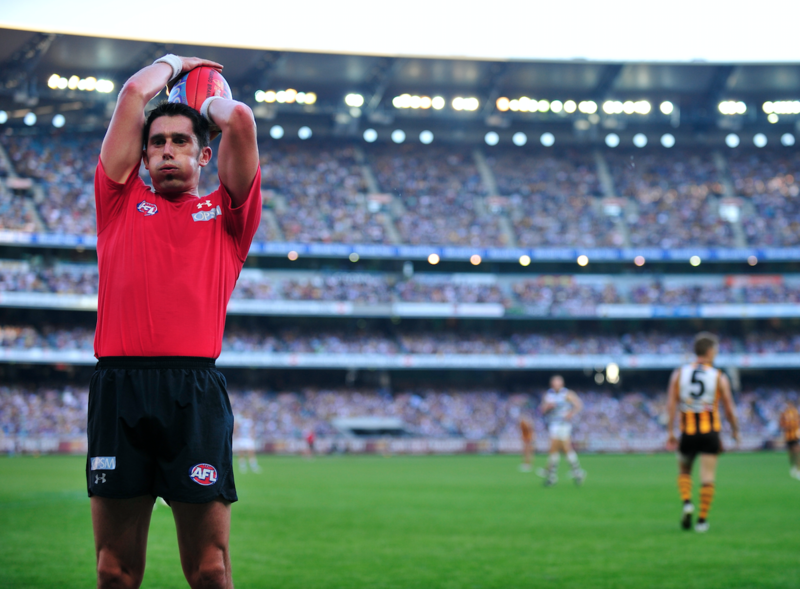 Robbo started his umpiring journey back at the West Gippsland Football League in 1997. 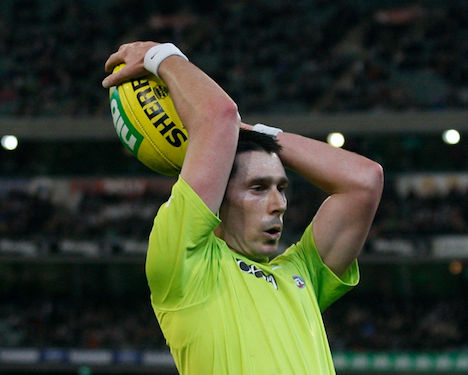 He umpired through his high school years, and in 2003, he made it onto the VFL list. His mentor at the time was a man by the name of Steve Gilbert, who was also from the West Gippsland Football League. Steve had umpired AFL reserves matches and helped Robbo with his fitness and preparation at VFL level. Over the 4 seasons at VFL, Robbo also thrived off Gordy Muir, Matthew Vittiriti and Scotty Hutton who all developed him into the umpire he is today. In round 3 2007, Robbo made his AFL Debut at the MCG between Melbourne and Geelong. A crowd of 38,438 saw Geelong victors by 52 points. Robbo ran with Gordy Muir and Chris Morrison. He recalls starting on the bench and thinking “what the hell am I doing here, but this is awesome”. A typical response from the country boy and one we have grown to love over the journey. Robbo was awarded heritage number 523. Since that first game in 2007, he has umpired in 3 ANZAC clashes and 7 finals matches including a Preliminary final which is a career highlight. To have achieved and performed at the elite level, Robbo credits his beautiful wife Heather and 3 children, Nick, Kayla and Bella who have supported him through the highs and lows of his career to date. Robbo tells me that this 200 milestone means more than just a number. “It shows how committed I have been to my umpiring, and it is a reward for all the hard work and miles I have done over 20 years”. He also loves the challenge of umpiring at the elite level. “Millions of people watch and love our game, there are the best players in the country out there, I love the challenge to match that, and be the best I can be for the players and the game.” To help him achieve this, he mentions some superstitions that happen before every match. His bag must be packed the night before, his breakfast must be the same, however he has admitted to attacking the coco-pops when he travels interstate, a luxury he clearly doesn’t indulge in at home. This weekend of the AFL fixture marks country weekend which is fitting for this occasion. The time, the effort, the commitment and the sacrifice made by this man to follow his dreams and do what he loves is extraordinary and worth celebrating. Congratulations on 200 AFL matches Robbo! Written by Chris Gordon – AFLUA Marketing & Communications Intern, Friend & Colleague.